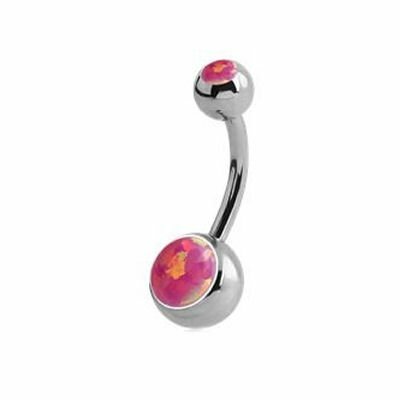 This Surgical Steel Double Jewelled Synthetic Opal Bananabell has two Pink balls. The bananabell will sparkle and catch the light. The Bananabells have a steel edges curled over the crystal insert to security and style.